I went shopping this weekend at my favorite store, Anthropologie, and definitely overindulged. Although my bank account cried a little (shopping for weddings is painful), one good thing came out of it. The answer is nothing, in my very humble opinion. I was at the Anthropologie in Tampa, Florida, which is hosting a hiring shindig for seasonal customer associates on Oct. 12 at 5 p.m. Potential employees will be able to rub elbows with current employees and leadership. And other Anthropologie stores are hiring part-time seasonal customer associates, too — though it doesn’t look like all of them are hosting socials. Sorry. I reached out to Anthropologie’s guest services to nail down pay, but I was advised to ask upon hiring. So I consulted Glassdoor, which reports average seasonal pay at $10 an hour. You’ll also get 40% off Anthropologie and sister brands, including Free People and Urban Outfitters, and 25% off home goods, swimwear and more, according to the store’s parent company’s website. 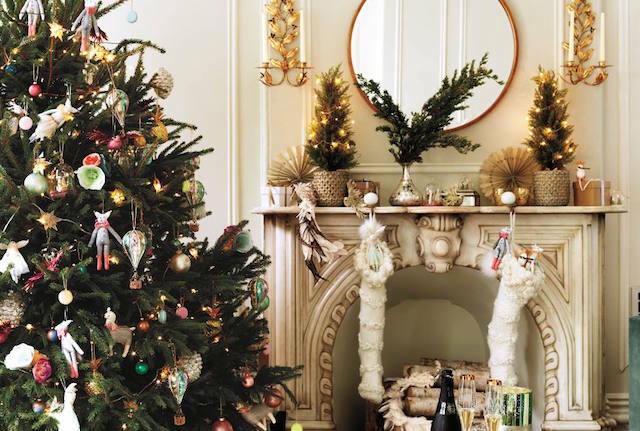 A large part of this job involves working with customers — helping them pick the perfect holiday present, find the best cocktail dress or locate decor to refresh a room. Thus, you need to be able to work alongside a team to serve customers and establish genuine connections. You should also think about how you can enhance a customer’s experience, know the products and be on top of current trends. You should also be slightly Type A because the store needs to remain clean and neat — even in the chaos that is Black Friday and the holidays. Finally, you need to have strong written and verbal communication skills. How Do I Apply to Work at Anthropologie? It’s easy — a heck of a lot easier than deciding which dress to splurge on, anyway. Go to Anthropologie’s career page, and search “seasonal” in the keywords. You can also search by state to narrow it down. Find the closest location to you, and apply via LinkedIn or through the site. If I didn’t already have a job, you’d know where to find me. Not as big of an Anthro fan as me? You can find more seasonal jobs on our Facebook Jobs page. Your Turn: What’s your favorite Anthropologie candle scent?